Clear intense battle between incumbent National Secretary of the All Progressives Congress, Mai Mala Buni, and his main challenger, Kashim Imam, at today’s (Saturday) national convention of the party. Kwarareporters gathered that the party’s governors had yet to agree on a consensus candidate for the position of the national secretary as of this morning. One of the party executive who spoke on condition of anonymity in order not to jeopardize the ongoing negotiations, said governors and other party leaders had yet to reach an agreement on the matter. “The reason is simple; our governors and leaders from the South, especially the South- West and South- East, are more favorably disposed to the emergence of Kashim Imam. We also gathered that for the position of Deputy National Chairman (North), most, if not all northern governors, had endorsed the incumbent, Senator Lawali Shuaibu, to return and that barring any last minute change, he would be returned unopposed. It was learnt that the main challenger, Faruk Adamu from Jigawa State, who is the campaign manager for former Governor Adams Oshiomole, was prevailed upon to step down. When contacted, Shuiabu said, “When you have my kind of experience in politics and political party administration, you would always want to position yourself to give the best to make the party realise its objectives. “Apart from serving for two terms as senator, I was also Senate minority leader. I was also national secretary of the Action Congress of Nigeria. The contest for the three National Working Committee positions zoned to the South -East is also a source of concern for party leaders from the zone following the insistence of the Imo State Governor, Rochas Okorocha, on having his way. We also learnt that party leaders from the zone set up a five member-committee which included the Minister of Science and Technology, Ogbonnaya Onu; the Director-General of the Voice of Nigeria, Osita Okechukwu; and the Minister of Commerce, Okechukwu Enelamah, to meet with President Buhari over the issue. The compromise being pursued is for the incumbent National Organising Secretary, Osita Izunaso, to step down for a neutral candidate. It was learnt that Chidi Nwogu was being touted as the man to beat. Okoracha’s preferred candidate is Emma Ibediro. 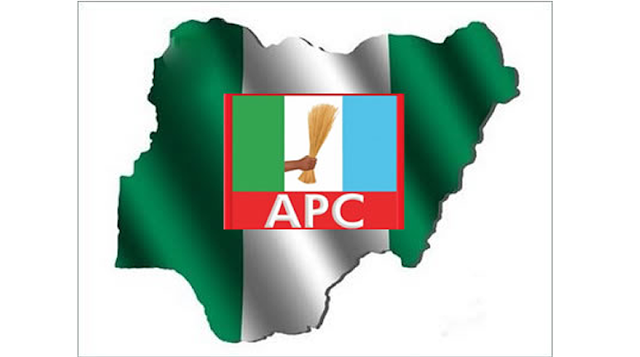 The APC stakeholders from South-East have warned party leaders against imposing any candidate on them through the unity list. The party members, who stormed the APC National Secretariat, in Abuja, on Friday, said should the party go ahead with the proposed unity list; it could spell doom for it in the 2019 elections. The party had earlier resolved to retain zoning arrangement of offices to each geopolitical zone. The offices zoned to South-East include: Office of National Organising Secretary, National Auditor and National Vice Chairman, where Osita Izunaso, George Moghalu and Emma Enukwe are respectively current occupiers. Eze said, “All zones, the six geopolitical zones have positions zoned to them. We don’t go to those other zones and dictate who is produced there. “The position of national chairman, for example, was zoned to the South-South. We have people who are ably qualified to lead the party from the South-East, so, the concentration is to adopt people from your zone. “We are made up of different people and ideas, but when a person leaves North-East, North-West or North-Central and dives into the positions of the South-East, it is offensive,” Eze said. The South-East stakeholders urged Buhari to advise those who wanted to impose candidates on the region, adding that such a move could work against President’s re-election bid. Other state chairmen from the South-East, who also expressed their displeasure at the event, were: Donatus Nwankpa (Abia), Ben Nwoye (Enugu) and Emeka Ibe (Anambra). Meanwhile, the Peoples Democratic Party has alleged that the APC is organizing its national convention with funds stolen from public coffers.